Mon., Oct. 29, 2018, 8:45 a.m.
New-home prices in the Treasure Valley have risen 5.3 percent over the past 12 months, amid high demand and low supply. 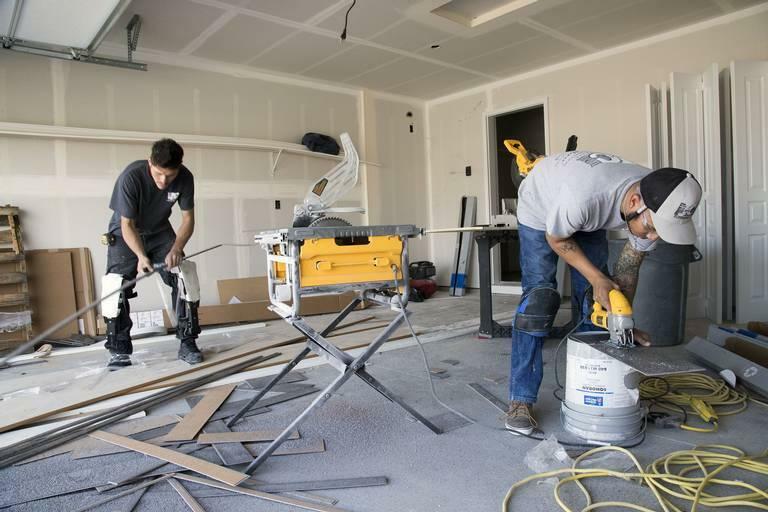 Now an outside force – tariffs imposed by President Donald Trump on Chinese imports – could boost prices even more and escalate costs for remodeling projects. The president recently imposed 10 percent tariffs on 6,000 items imported from China. They include lighting fixtures, granite countertops, flooring, wooden and steel doors, iron nails, windows, appliances, stainless-steel sinks, kitchen cabinets, ceramic tiles and asphalt shingles. By the first of the year, the tariffs are scheduled to rise to 25 percent. Last year, U.S. home builders bought more than $21 billion in products from China and $45 billion from other countries, according to the National Association of Home Builders. At 25 percent, the tariffs will cost builders $2.5 billion in additional annual costs on $10 billion worth of goods used in home construction and remodeling, said David Logan, the association’s director of tax and trade policy analysis. ProSource is optimistic that the tariffs won’t hurt new-home construction in the Treasure Valley, Valentino said. “Construction is booming, so as long as there is demand for the product, there’s going to be people paying, no matter what the price may be,” he said. The tariffs come on top of Trump tariffs on Canadian lumber that add an estimated $9,000 to the cost of a typical single-family home in the U.S., the home-builders association says. There’s also a 25 percent tariff on steel imported from many countries and a 10 percent tariff on aluminum. That’s affecting prices on most indoor and outdoor kitchen appliances, according to an analysis by the Freedonia Group, a market research company based in Cleveland. “Sales could slump as consumers decide a new fridge or stove isn’t worth the price,” Freedonia said. Some product dealers say the tariffs amplify already rising costs. For example, there’s a shortage of rail cars and trucks to ship products within the U.S., and shipping costs have increased 25 to 30 percent in the past year, said Greg Eagy, owner of DMA Lighting at 4720 Emerald St. in Boise. Corey Barton, president of CBH Homes, said his company, which has built 18,000 homes since 1992 and averages about 1,100 homes a year, said his company will evaluate the tariffs’ impact over the winter and decide what to do. The latest tariffs hit the company as it has dealt with increases in land costs, labor, lumber and other products, he said. In August, the median price for a new home sold in Ada County was $386,470, up $18,770 since January. The median price for existing homes sold during the month was a record $309,200. Barton’s homes start at $200,000, and many are aimed at first-time buyers. Raising the price too much carries risks, he said. Published: Oct. 29, 2018, 8:45 a.m.